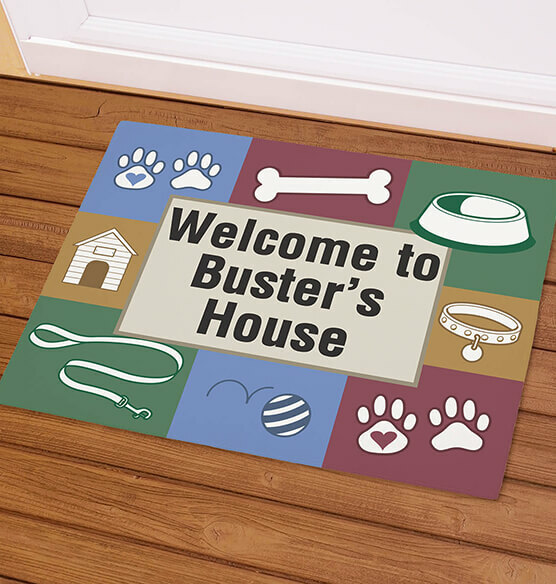 This personalized dog welcome doormat shows visitors who is in charge at your house. 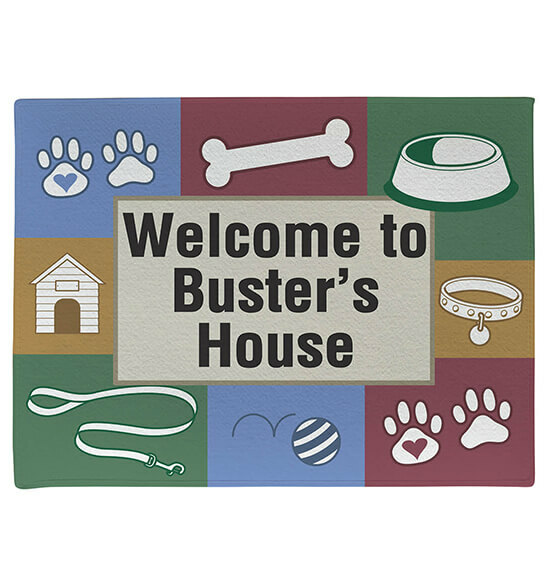 Perfect for any dog lover, this doormat is made of smooth fleece with a gripper latex backing. Recommended for indoor use, but can be used outdoors as well. Specify size: 18" x 24" or 24" x 36". Specify personalization: limit 3 lines/20 characters each.